Practical and inspired design, built with timeless materials to last generations. Build out for high end men’s store in Virginia beach. Includes metal hanging structures, display shelving, table tops, stools and sliding doors for dressing rooms. Build out for specialty food retailer Taste Unlimited, including heavy duty displays on wheels and various tables and seatings. Commune’s Norfolk space in the Texaco Building. Slab table. Build out included tabletops, display tables and wall details. Conceptual designs for Back Bay Brewery in Va. Beach. 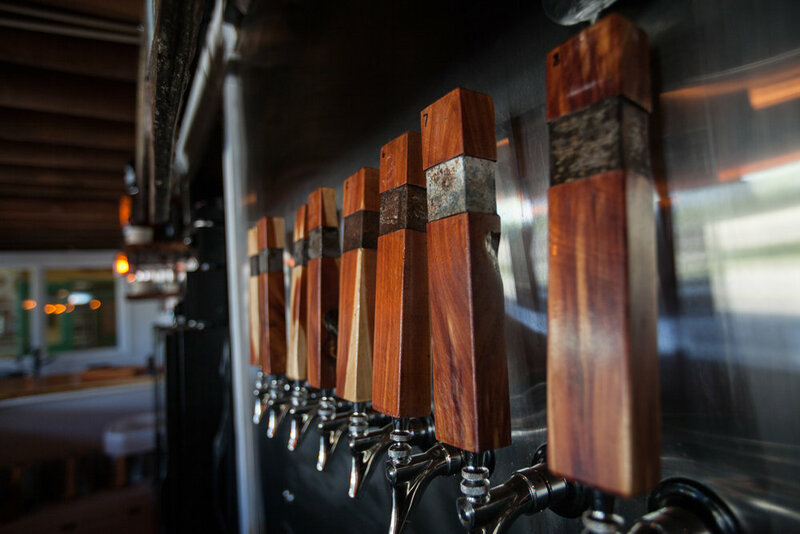 Included live-edge tables, stools and bar taps. Also wall surfaces. Build out for Esoteric, a high-end bistro at the Virginia Beach oceanfront. Included tables and bar stool, and various surfaces.